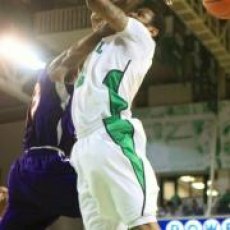 CINCINNATI, Ohio – Four Herd players scored in double-figures as the Marshall men’s basketball team upset Cincinnati 73-69 in overtime Friday at in front of 7,021 fans at Fifth Third Arena. With its first win over a BCS Conference team in a true road game since 1989, the Thundering Herd improved to 5-0 on the season. The Bearcats, a member of the Big East Conference who started the season ranked in the top 25 poll, fell to 3-2. Senior guard Damier Pitts led the Herd with 19 points including several huge baskets down the stretch. All but two of his field goals were from three-point range going 4-for-9 from beyond-the-arc. Junior forward Dennis Tinnon recorded his second double-double of the season with 15 points and 14 rebounds. He was efficient, going 6-for-10 from the field. Sophomore guard DeAndre Kane (12) and junior forward Robert Goff (11) joined Pitts and Tinnon in double-figures. Marshall held UC to without a field goal for nearly six minutes to build a 14-9 lead with 10:29 to play. However, the Bearcats went on an 18-6 run over the next five minutes of play to take a 27-20 lead with 5:06 to play. Freshman Jamir Hanner grabbed his own missed shot and scored his only points of the game to cap off 10 unanswered points and give the Herd a 30-27 lead. Marshall led 30-29 at halftime despite shooting 35.7 percent from the field compared to Cincinnati’s 40.7 percent. The Bearcats jumped out to a 47-38 lead with 11:31 to play in the second half. With Marshall trailing 55-51, Goff rebounded a missed layup by Kane and threw down a thunderous jam to bring the Herd within two points. On Marshall’s next possession, Pitts drained a three-pointer to give the Herd a 56-55 lead much to the delight of the several hundered fans wearing Kelly Green. Marshall held a 61-57 lead with 2:05 remaining after another clutch three-pointer by Pitts. However, UC’s Yancy Gates scored the next four points to tie the game 61-61 and send the game into overtime. Kane started the extra period with a three-pointer followed by a tip-in by Tinnon for a 66-61 lead two minutes in. Marshall never gave up the lead in overtime and finished the game with Pitts, one of the most accurate free throw shooters in school history, at the line to seal the game. Points in the paint, which has been a strength for the Herd early on this season, were hard to come by with 6-9, 260-pound senior forward Yancy Gates in the post for UC. The Bearcats held a 36-28 advantage and Gates had 17 points and seven rebounds. However, where the Herd had the advantage was in rebounds. Marshall outrebounded UC 43-30 including 17 offensive rebounds for the Herd. For the game, Marshall shot 42.6 percent from the field while UC shot 44.3 percent. At the free-throw line, the Herd was 14-for-19 (73.7 percent) while the Bearcats struggled to just 10-for-19 (52.6 percent). Sean Kilpatrick led the Bearcats with 19 points and was 3-for-6 from three-point range. Marshall will next host Ohio on Wednesday, Nov. 30 at 7 p.m.
Notes: The last win over a BCS Conference team in a true road game was against Texas A&M 69-66 on Dec. 7, 1989… It is Marshall’s first 5-0 start since 1999-2000 when the Herd started 10-0… Outside of WVU, it is Marshall’s first win against a current Big East team since 1983-84 when they beat Cincinnati, 77-50 at home… It is Marshall’s first overtime game in non-conference play since an 84-83 win over Eastern Tennessee State on Nov. 20, 2007… It’s last overtime game was at Tulane last season.